← Why is reading important to you? Recently I recorded another episode of the geek culture and comics podcast I co-host, Comic Book Outsiders. We looked back at 2013 and talked about our favourite films, TV shows and other geek moments. I didn’t get around to talking about comics or books. So this is a list of my favourite 5 books I’ve read this year. Some weren’t published this year and they are not in order of preference. The Republic of Thieves by Scott Lynch – This was probably my most anticipated book of 2013. It’s been a long time coming and when it was published I dedicated a good chunk of time to reading it before I went to the World Fantasy Convention in Brighton. This is because Scott Lynch was attending the convention and even with the best intentions, someone usually manages to spoil a couple of things, so I made sure I was up to date. I also re-read the first two books as it had been a while since I’d read them and my previous impression was, the first book was excellent, the second not as good. This time around I thought the second book was actually really good. It had to be different from the first book for lots of reasons and there again The Republic of Thieves was different again, but very enjoyable for many reasons which I won’t spoil. Meeting Scott at a coffee get together thing he did at a local coffee shop, along with thirty other people, as well as hearing him speak on a panel, was also a highlight of the event. The book showed he had not lost his touch and even better is the news recently announced, that the 4th book in the series will be out next year. Two new books in two years. Fantastic. This novel gives us more detail about the main characters, the adventure is full of delicious duplicity, dodgy deals and as ever nothing goes according to plan. Apart from that I won’t say anymore but it’s a cracking good read and I highly recommend it. The Big Reap by Chris F. Holm – I’m very picky and fussy about my urban fantasy and supernatural noir, and unfortunately I just don’t enjoy most of it. It’s totally a personal thing. So I always approach a new author with a lot of trepidation. The Collector series by Holm, is probably best described as supernatural noir, as it’s set in our world, and there are demons and angels creeping around, but most people have no idea what’s going on. This is the third and final book in the Collector series (for now at least) and it was probably my favourite, although that’s splitting hairs as the series is excellent overall. The prose is incredibly tight, and sharp enough to cut you like a razor, it’s trimmed down to the bone with no fat or unnecessary exposition, and yet I never felt as if it was just three hundred plus pages of conversation which is what can sometimes happen. Dark, moody and rich, the series is tense, exciting, creepy and it always leaves me guessing. Plenty of twists that I didn’t see coming. There was an ending to this series, and if Holm and Angry Robot never do any more Collector books then I would be satisfied, but the door is open for more and I hope he’s able to revisit the series in the future. Other points of reference that I would pair it with, to give you an idea of what to expect, would be the Felix Castor novels by Mike Carey, as this is definitely a close kissing cousin, and the novels of Justin Gustainis, which both veer on the darker side. 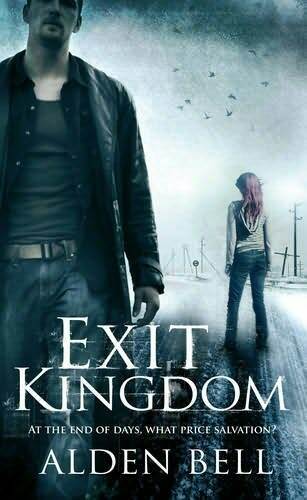 Exit Kingdom by Alden Bell – This is the second book by Bell in his post apocalyptic world where zombies destroyed the earth many years ago. I should preface this by saying I’m not really a fan of horror, or zombie books in general. They’re just not my cup of tea. I don’t like zombie films at all and am not a fan of horror films either. So, when I first read The Reapers Are The Angels, I went into it cold, knowing nothing about it, except that it was the story of a girl named Temple. The book is amazing. It was my favourite book of the year when it came out and when I heard Bell was doing another I was very nervous. Then I found out it was a prequel, so I unclenched and bought a copy to savour during my summer holiday. The story follows the earlier life of Moses Todd, a character from Reapers and once again Bell has captured something wonderful in the pages. Moses is such a big character, a big man, and the story has a real southern gothic feel to it. The language used has a real poetry to it and the characters have a particular way of speaking that fits within that world, but would sound unusual in the modern world. This is an excellent prequel but you should definitely read Reapers first and then this second. I sort of hope Bell does more stories set within this world but I guess we’ll wait and see. 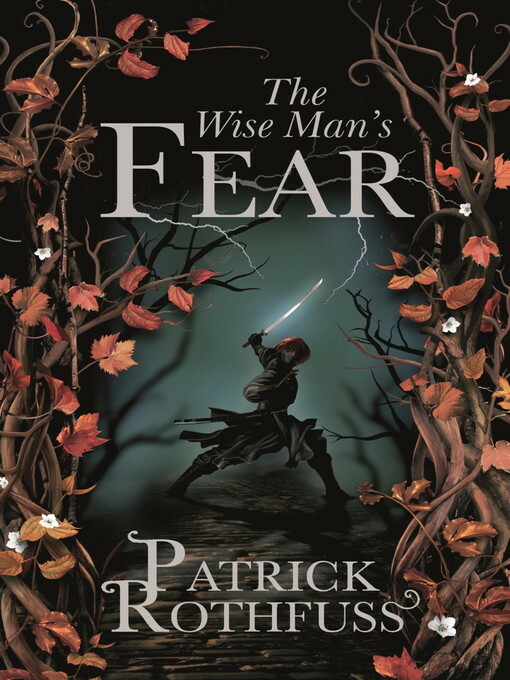 The Wise Man’s Fear by Patrick Rothfuss – I re-read The Name of the Wind before starting this, as it had been a couple of years and I’d forgotten some of the smaller details. A friend has recently started reading The Name of the Wind for the first time and she described it as a delicious meal, something you want to savour. The prose is almost poetic, it flows incredibly well, has fantastic rhythm and pace, and the story is very intriguing, full of mystery, suspense, magic and unexpected twists and turns. It’s not a spoiler to say the story follows the main character telling a scribe about his life and adventures, and he’s narrating the tale and during the first book I had suspicions that he wasn’t a reliable narrator. People exaggerate, they lie, they conceal details they don’t want to share, and I think we’re getting a version of the truth. The main character is a figure of myth, he’s a folk tale most people don’t even believe was ever real, but we see him in the present, and then in the past as he retells his adventures. It’s an interesting storytelling device, one I’ve not read before in a long running fantasy series. The second book builds very well on the first, Kvothe the main character goes into some very unexpected areas and we experience some of the stories that created the legend others talk about. Rothfuss is spinning a lot of plates in the story, but he’s also playing with the idea of story, expectation, myths and legends and how they are built, and I think how a story is told, hence lies mixed in with the truth. It’s an adventure story about a boy with red hair who grows up to be remarkable renaissance man and how he impacts the world around him. A wonderful read and I’m looking forward to the third and final book when it arrives. 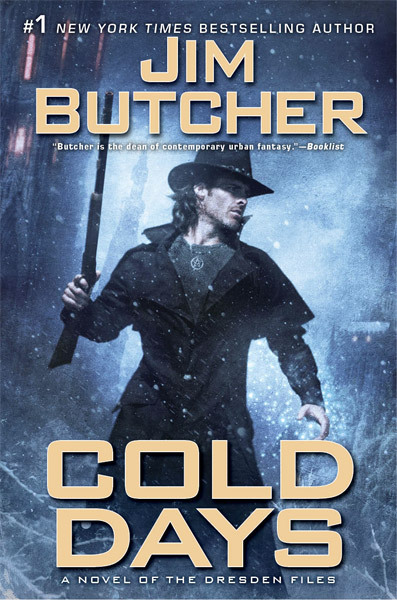 Cold Days by Jim Butcher – This book came out in late 2012 but I read it this year after holding on to the book for 3 months. That was all I could manage. I tried really hard not to blot out all other activities, work, food, sleep, and blast through a book in one sitting from the moment I received it as a present. Even though I would have enjoyed doing it. Because I knew the next book would not be publishing for at least a couple of years. So, Harry Dresden, we meet again. I won’t spoil the series and what’s happened up to now, but I will say that this is a series that never stands still. The Dresden Files is a long running series of standalone chronological stories that build on one another, all focused around the same central character. For me, it’s urban fantasy done the right way. The characters feel so incredibly real, despite the weird and magic, and after 13 books and several short stories, I feel as if I have a fairly good grip on who they are. However, I’ve no clue about the wizard behind the curtain, because he continually surprises me and the story is full of twists and turns. Time has moved on, Harry has changed, the world has changed and he can either start running and try to keep up or fall behind and curl up into a ball. If you know anything about Harry, you know he’s a fighter who never quits. Even when the odds are hideously stacked against him as they have been many times in the past. I’m dancing around the subject very carefully, but suffice to say, something goes wrong and Harry must once more fight to protect his city and the people that he loves. Overall I loved this story and it was another excellent addition to the series. Without a doubt this is one of my favourite series, maybe ever, so I can’t wait to see what Butcher does next and where the story goes.